Today, author Lindsey J. Palmer poses a foreboding question: how do we—and our characters—handle major life changes? How about those milestone birthdays? (You know the ones. )In Lindsey’s newest novel, IF WE LIVED HERE, the main character, Emma, is on the cusp of turning thirty. How does Emma cope? You’ll have to read the book to find out! I have to admit that what impressed me even more than the premise (and I love books set in NYC because I love NYC) was the fact that Lindsey was writing her second published novel before she turned thirty. My debut was published in 2013 when I was forty-nine. When I was thirty I had a two-year-old and lived in an early nineteen-twenties Cape Cod in New Jersey. I had the picket fence, both literally and figuratively. Times have changed. And I think that’s what IF WE LIVED HERE is about. Changing times. Adapting. Figuring things out along the way. Making it work. Living life. I can totally relate. Even if when I was thirty, there was no computer in my house, telephones were attached to walls, stamps cost twenty-nine cents—and people still used stamps. Please welcome Lindsey J. Palmer back to WFW! Here is a snapshot of my life, six months before I turned thirty: I’d recently moved in with my long-term boyfriend and, having decided to switch careers, was halfway through grad school, studying to become a high school English teacher. I’d just sold my first novel and felt equal parts excited and nervous for it to go out into the world. My inbox was a mix of friends’ wedding save-the-dates and baby announcements and other friends’ tales of Tinder first dates and one-night stands. Before making the jump to a new career, I worked as a magazine editor and felt confident and successful at work. That all changed when I began training to teach: Suddenly I was brand new at a job with a steep learning curve, and not only were most of my grad school classmates nearly a decade younger, I also spent my days with teenagers—to them, someone pushing 30 was basically geriatric. As the resident elder in the room, I felt by turns wise and over-the-hill. I was starting from scratch, which was a thrill but also a struggle. Meanwhile, everywhere I turned, I felt bombarded by “Top 30 under 30” lists, those envy-breeding reminders of how much more successful than us other people are. I also began to feel other pressures of growing older. Everyone from acquaintances to my dentist was suddenly asking me when I was going to get married already. People my age started talking to me about mortgages and baby carriages. The two trusty gray hairs I’d had since age sixteen suddenly multiplied—to ten, then a hundred, then too many to count. Before this, I’d never thought much about my age. Birthdays were for cake and sparkling wine, not pondering the inevitable passage of time. But for the first time, my life felt so very in between—in between single and married, in between careers, in between unpublished and published, and in between the fickle fluctuations that had been my twenties and what I imagined to be a more stable, serious kind of adulthood—and I thought, well this must be thirty. It was also six months before that milestone birthday when I sat down to write my second novel, If We Lived Here. I decided that I wanted the book to explore what it felt like to be that particular age, and specifically what it felt like to be a thirty-year-old woman living in a big city, someone ambitious but a bit “in between.” So I wrote my protagonist, Emma Feit, as a thirty-year-old New Yorker feeling unsettled in her career and planning to cohabitate with her boyfriend for the first time. Emma wasn’t me, but she was someone grappling with a lot of the same things I’d been grappling with. I planned to throw a bunch of obstacles in her way to test her understanding of herself as someone stumbling towards mature adulthood. One element I had fun playing with in the novel is Emma’s obsession with Lily Bart, the protagonist of Edith Wharton’s famous 1905 novel, The House of Mirth. Similar to my book’s protagonist (and yes, to me, when I was creating Emma), The House of Mirth’s Lily Bart is an ambitious New Yorker pushing 30 and feeling unsettled with both her situation and her society’s strict standards for success. Although Wharton’s novel is set in a New York society a century earlier than my book’s (and my own), I was fascinated by how much remained the same—namely, the various pressures facing women around age thirty. Emma’s fascination with Lily Bart speaks to a certain timelessness of these issues. As I got to know Emma better through my writing, I focused in on the questions I was most interested in exploring: How do the choices you make—in relationships, friendships, and career—affect the kind of adult you’ll become? How do you figure out what success and happiness mean to you, especially when the standard definitions don’t quite fit? And what does it look like to grow up and grow into different life stages at different rates than the people you love? Emma’s two best friends in the novel, both also thirty, represent two different life stages: Genevieve is a single actress struggling to pay her rent, whereas Annie has just settled into her new husband’s multimillion-dollar home and luxury lifestyle. Emma’s life lies somewhere in the middle. There are countless ways to be thirty, of course. But creating Emma’s character helped me realize that there’s something universal about this milestone that prompts many thirty-year-olds to step back and examine our careers, our romantic lives, our friendships, and other aspects of ourselves, and how we’re combining all of these elements to build our own personal definitions of “grown-up.” My hope with If We Lived Here is, whether readers are themselves on the brink of the big THREE-O or many years from it (on either end of the spectrum), that they’ll identify with the larger question of how we reconcile a marker like age with where we are in our lives. 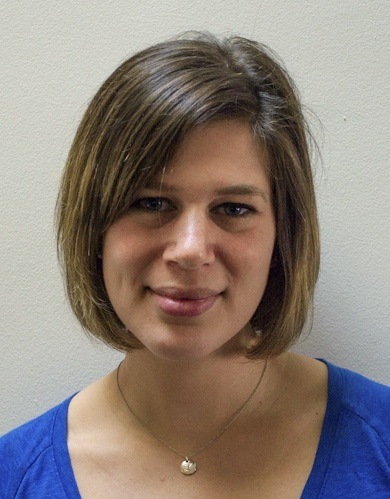 Lindsey J. Palmer worked as a professional writer and editor in the magazine industry for seven years, most recently as Features Editor at Self, and previously at Redbook and Glamour. A graduate of the University of Pennsylvania, she earned a Master of Arts in English Education from Teachers College, Columbia University, and currently teaches 12th grade English and A.P. Literature in Manhattan. Lindsey lives in Brooklyn with her fiance. Find Lindsey at lindseyjpalmer.com, @lindseyjpalmer, and at facebook.com/lindseyjpalmerauthor. 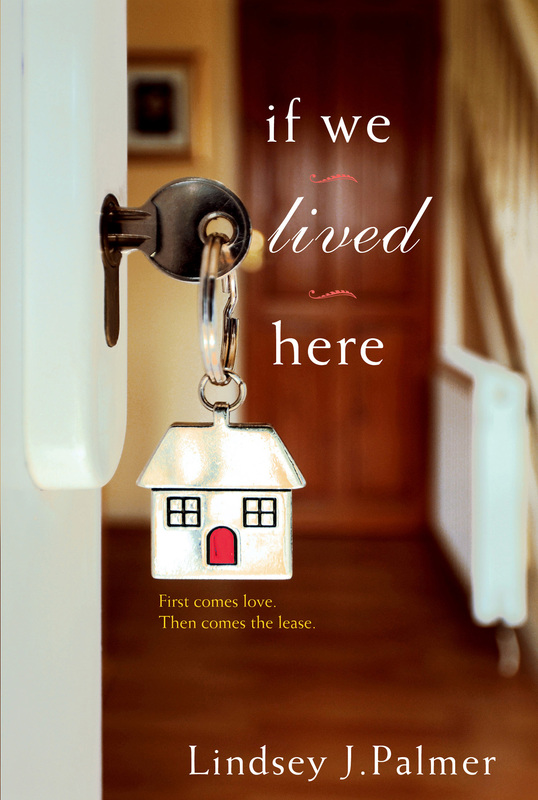 Buy If We Lived Here at IndieBound, on Amazon, or on Barnes & Noble, and read a sneak-peek excerpt here. Congratulations, Lindsey! Wishing you great success on your second novel. It sounds terrific. Ah, Lindsey, what a thoughtful post. As someone old enough to be your mom, I’m proud of you! Congratulations on the new book.